Posted on 19 November 2014. 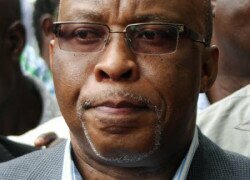 THE Movement for Multiparty Party (MMD) has suspended its president, Nevers Mumba, for unilaterally declaring himself candidate for the January 20, 2015 presidential by election while ignoring the authority of duly established constitutional offices and party organs. The MMD has also charged Dr Mumba for indiscipline and gross misconduct for going against the decision of the national executive committee (NEC) stating that the decision to suspend the President was taken in the greater interest of the former ruling party. The national executive committee has since adopted former president Rupiah Banda as its candidate for the January 20 2015 presidential election and has declared itself ready and adequately prepared for the election. 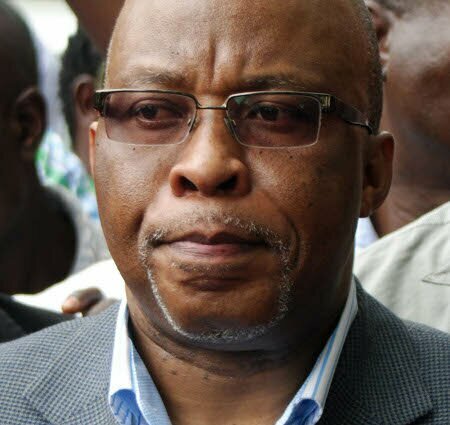 Announcing the resolutions after a three-hour NEC meeting at the party secretariat in Lusaka, MMD national secretary Muhabi Lungu said the party had been forced to take the drastic measure because Dr Mumba had exhibited total disregard for the NEC and its decisions arguing that an individual could not overide collective decisions made by the NEC. The NEC is the supreme party organ in between party conventions. Mr Lungu said the MMD did not belong to any single individual who could be running its affairs through decrees and without consultation adding that the NEC had consulted widely before arriving at the decision to expel Dr. Mumba. Earlier in the day, Dr Mumba addressed the nation in a live broadcast from his Kabulonga home where he declared that as the MMD’s duly elected president, he was the sole and undisputed candidate for the coming presidential by- election. Dr Mumba charged that there was no vacancy in the MMD and if Mr Banda wanted to contest the presidential election, the former ruling party was not the platform for him because it had already been taken. But Dr Mumba’s declaration angered the MMD NEC members who called an emergency meeting at which a decision was made to immediately suspend its party president for going against the party’s highest decision making organ. “As the MMD, we have been having NEC meetings from Sunday through to today (yesterday) to resolve a number of issues. Following the events of the past few days, the NEC which is the highest decision-making organ of the party has made three resolutions. The first resolution is that we have decided with immediate effect to suspend Dr Nevers Mumba from the party for indiscipline and gross misconduct. “He will however remain the president of the party during the disciplinary process. The NEC having formed the quorum has unanimously adopted Mr Rupiah Bwezani Banda as its candidate for the January 20, 2014 presidential election. So all the statements made by Dr Mumba at his press briefing today (yesterday) have been declared null and void,” Mr Lungu said. But Dr Mumba said earlier yesterday, that he was the legitimately elected leader of the MMD and that he was not going to be cowed to surrender the presidency to Mr Banda. He said the MMD was not going to participate in the presidential election in the same shape it had been in 2011 and he would therefore be the candidate of the former ruling party because he was capable of winning the election. “There comes a time in life when courage and faith must be allowed to function. Since the death of President Sata, we have witnessed a major struggle for power both in the ruling party and the MMD. The MMD has reached another defining moment of rebranding and the events of the past few weeks have made me take certain decisions. Zambians must read my lips…I shall not be held captive by any group in my life and in the past few days they have tried to intimidate and armtwist me so that I can hand over the presidency to Mr Banda. I shall never surrender, bow or auction the MMD to anybody and I remain firmly in-charge,” Dr Mumba said. Dr Mumba said he was aware that there were schemes to expel him from the party but warned that such an act would be illegal but Mr Lungu said the MMD had strictly followed its constitution at arriving at its decision. Dr Mumba said he was not elected MMD president to warm the seat for Mr Banda to take over the candidacy of the party at an opportune time.